We first discovered kombucha in 2010. Every summer we worked in our dad’s dental office and he often took to Whole Foods for lunch. He was always interested in trying new things, and once we tried our first sip of GT’s Kombucha we were hooked! We started YEABUCHA for two main reasons. Initially, we loved kombucha but didn’t love the price tag that came along with buying it regularly. Then, in the spring of 2017 we experienced the greatest loss of our lives when our dad passed away at the age of 65. We saw our dad who seemed so healthy on the outside suffer because he was unhealthy on the inside. Unfortunately, we see this too often in society today. As we dove into the kombucha world we learned more about the vast health benefits that come from consuming it daily. Out of our love for drinking kombucha and desire to help others attain optimum health came the idea for YEABUCHA. We wanted to facilitate others to start on a home brewing journey, so we created a kit that has everything necessary to get brewing. We share with our community how easy it is to “ferment yourself” and take ownership over their gut health. Nothing beats your own home brew, that’s for sure! But we got to try so many amazing flavors at KombuchaKon 2018 and meet some incredible people in the industry. When we’re out and about or traveling, our go-to brands are Brew Dr. Kombucha, Health-Ade and Boro Beverage. We also love Boochcraft hard kombucha! We are three sisters Briana, Brooke and Brittany originally from Boston. Briana now lives in South Carolina and is a stay at home mom who home schools her two daughters Ashlee and Rylee. Brooke is the driving force behind YEABUCHA. She is an entrepreneur who currently lives in New Jersey and runs three other businesses including a Marketing Firm, a health and wellness business and a rental property business. Brittany lives in Massachusetts and spends her days teaching middle school strings and orchestra in Cambridge Public Schools, and her nights overseeing the creative team at her local church. 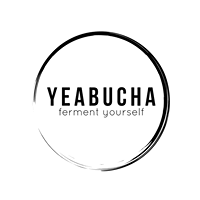 “Ferment yourself!” This is the YEABUCHA slogan of encouragement to empower others to brew their own kombucha! 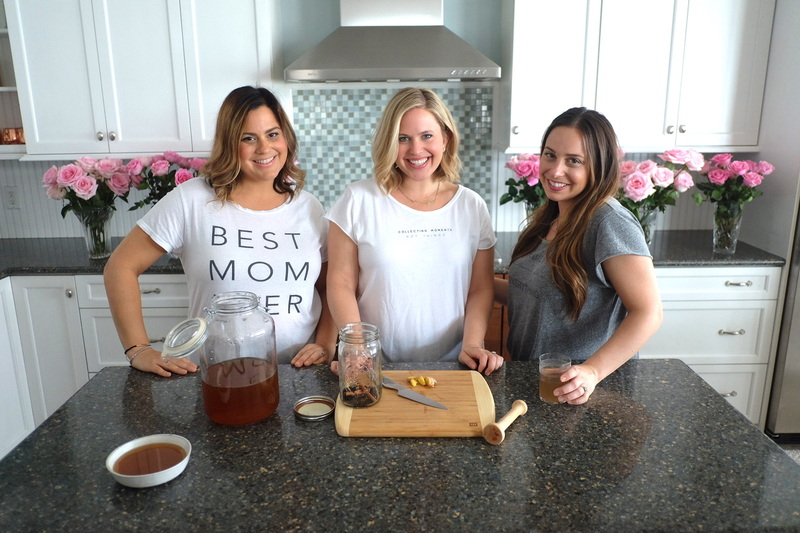 Yes, buying commercially brewed kombucha is great when you’re on the go, but home brewing allows our community members to make kombucha a part of every day for the whole family. We encourage others to take ownership of the fermentation process from the comfort and convenience of their own kitchen, and we help our brewers realize just how it easy it is to ferment by yourself!